Having grown up in Durban, I haven’t participated in many touristy activities (I confidently speak for people at their home cities across the world). I suppose we simply take it for granted as we already know the ins and outs of everything local. The good news is – it’s a mistake you can undo! 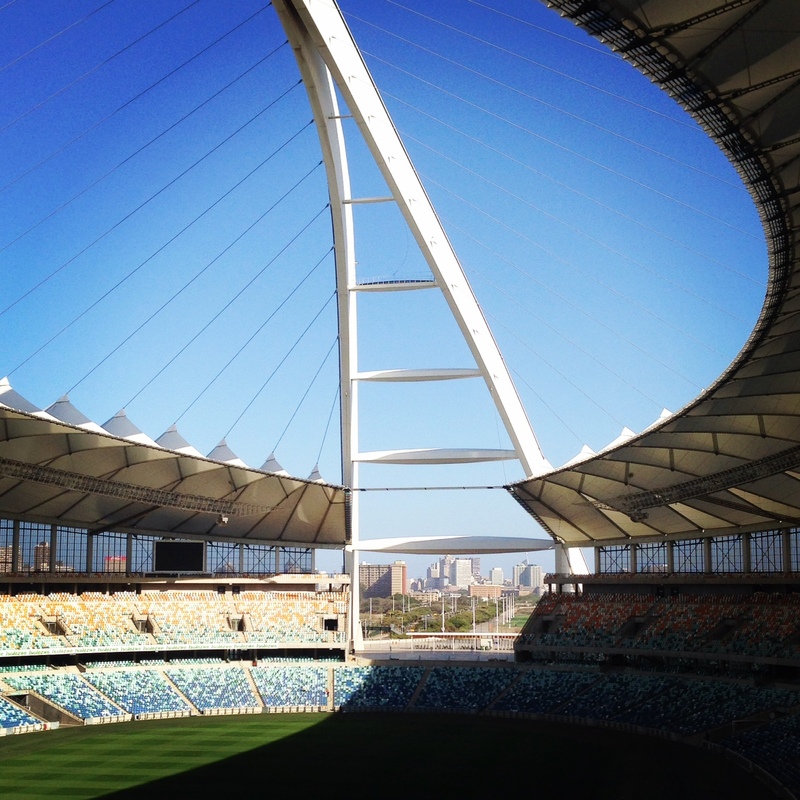 A mere two years after the completion of the Moses Mabhida Stadium, I packed up and moved to the Mother City. Little did I know what I was missing out on until last week! With the tagline “More than a stadium” this tourist attraction stays true to it in every sense. The first and only thing I wanted to do was get on the sky car. Unfortunately it was windy and the activity was suspended temporarily – the weather didn’t look like it would improve much so we settled for the express stadium tour. It lasted about forty minutes and surprisingly turned out to be so interesting! Both the views and the impressive facts and figures left us with a new appreciation for the stadium that’s more than a stadium. It boasts a number of records in not only its structure, seating and facilities, but also in the arts and crafts. 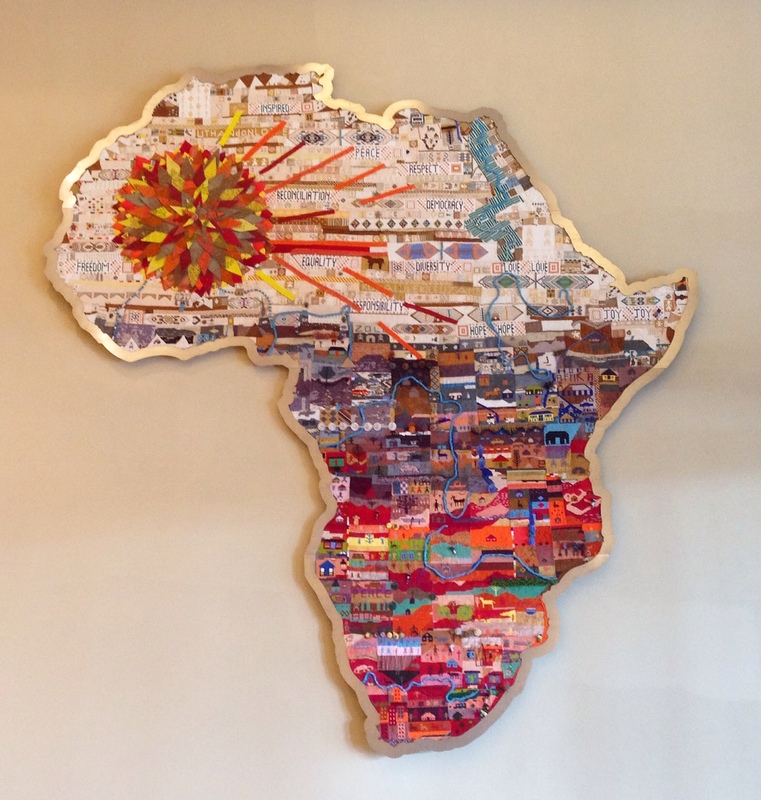 Pictured above is the largest bead-work map in the world… that was completely handmade! 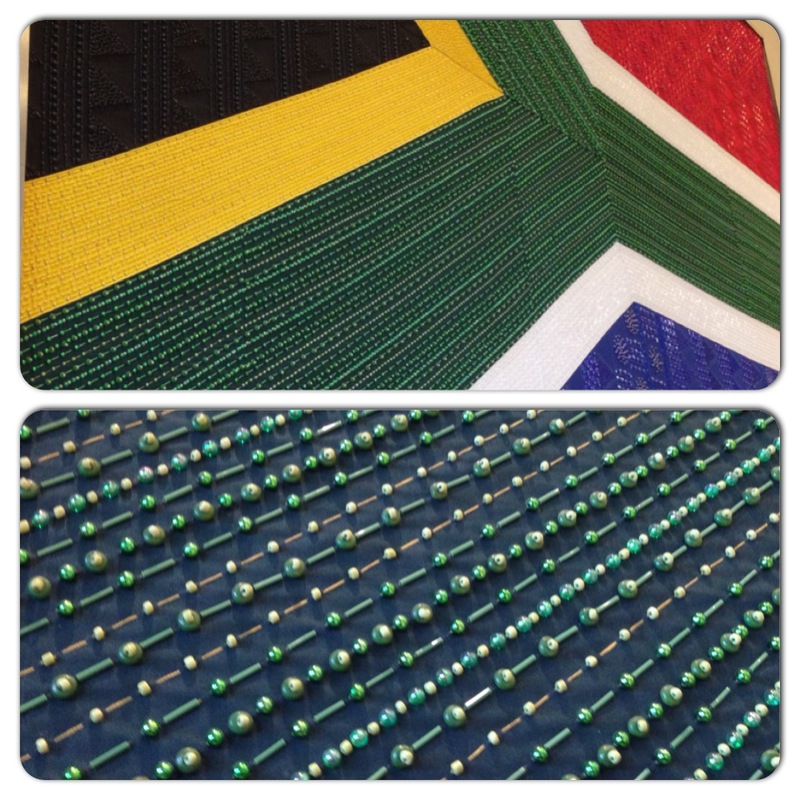 Although the beaded South African flag was done by a machine, it was just as impressive in both beauty and detail. 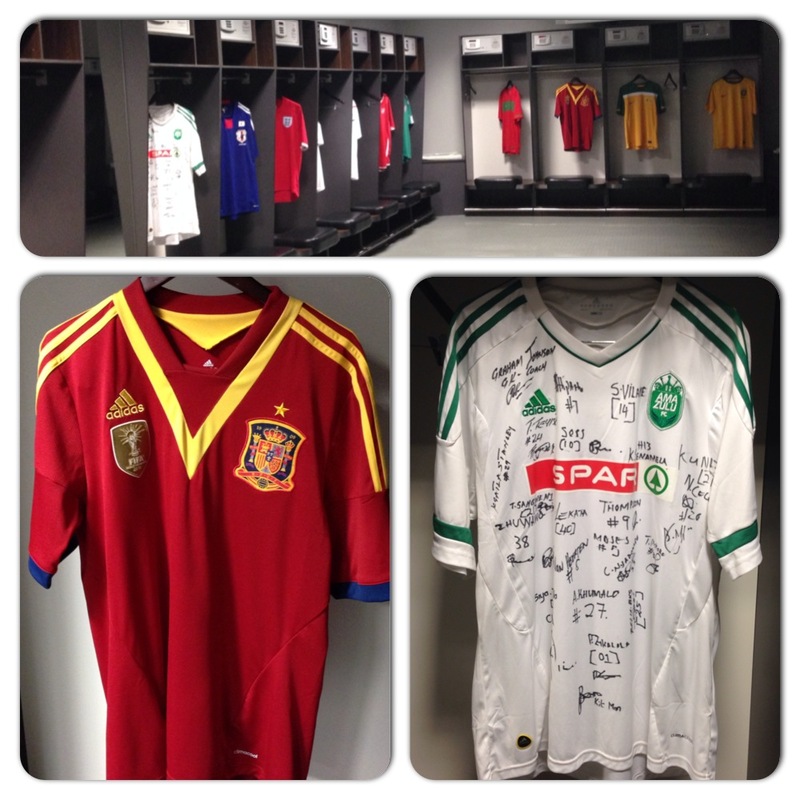 The highlight for me was a visit to the change rooms. Felt like the 2010 World Cup all over again! There’s a string of restaurants surrounding the outskirts of the stadium with a green and leafy backdrop: neat gardens, large trees and water features that drown out the sounds from the bustling city a road away. 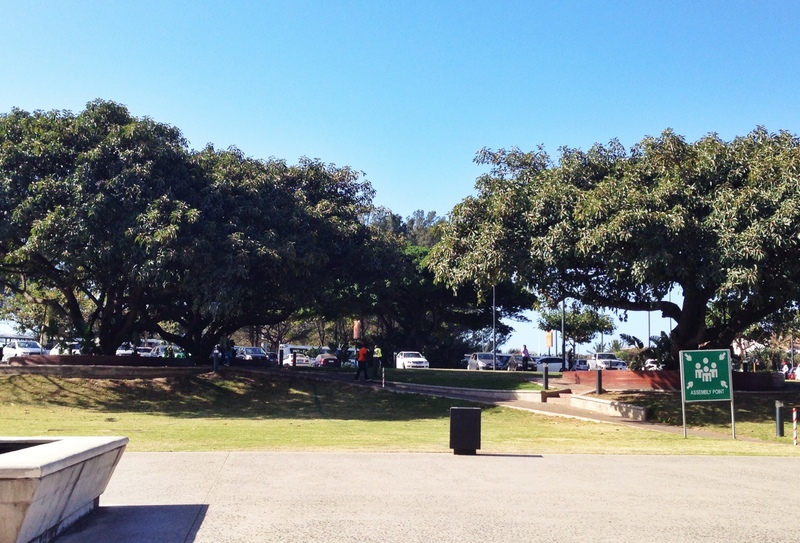 It’s a popular hangout spot for people of all ages, including children as they excitedly cycle and roller blade along the open concrete-paved pathways. 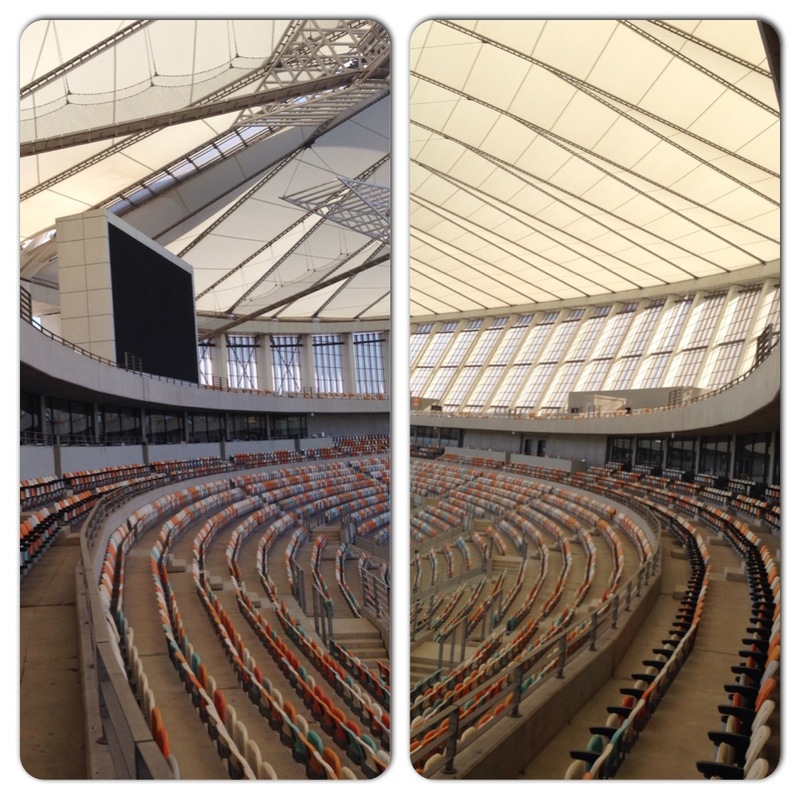 Have you been to the Moses Mabhida Stadium yet? Hi 🙂 Thank you, I’m so humbled! Will check it out and congrats to you as well!